Lund University is offering PhD position in nanotechnology. The funds for this position are available for 5 years. The deadline for applying is October 11, 2018. 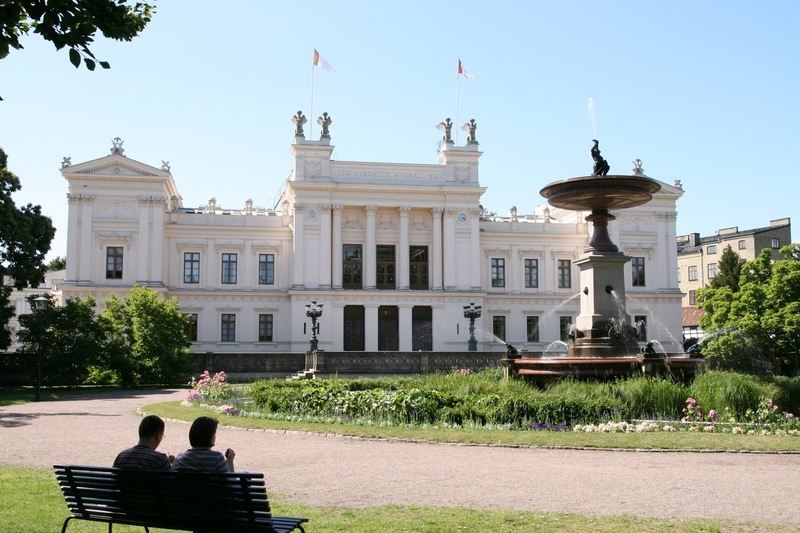 Lund University was founded in 1666 and is repeatedly ranked among the world's top 100 universities. The University has 40 000 students and 7 400 staff based in Lund, Helsingborg and Malm. We are united in our efforts to understand, explain and improve our world and the human condition. The Department of Physics is with a staff of about 350 scientists and educators one of the largest departments within Lund University. There are seven research divisions and a number of research centra within the department. The research activities at the department cover a broad spectrum of modern physics. www.fysik.lu.se/english. The research at the division of Solid State Physics is focused around different aspects of semiconductor physics, ranging from materials science to quantum physics, to different applications. The division also leads NanoLund, the major interdisciplinary research environment within nanoscience and nanotechnology at Lund University. Lund Nano Lab is a central key facility for fabrication of material and devices on the nanoscale. The division is also heavily involved in the undergraduate education, especially within the "Engineering Nanoscience" program. In the last decade, our research within the area of one-dimensional semiconductor structures, so called nanowires, has been at the international forefront. So far, our three main areas have been epitaxial growth of nanowires, fundamental properties studied with transport physics and optical physics, and more applied nanoelectronics. The main task for the doctoral student will be to conduct research education which includes work with research but also to master graduate courses. In this project, you will perform experimental work to study superconductor - semiconductor hybrids. These systems host Majorana states that promise virtually decoherence-free and fault-tolerant quantum computation based on topological protection. Thanks to material and experimental advances achieved during the last years, Majorana zero modes are now routinely observed in multiple research laboratories. Your task is to work in an EU-wide QuantERA project that aims to bring research on Majorana modes to the next level in a twofold way. First, we will develop cleaner InAs-based systems as well as novel InSb systems that allow the integration of multiple Majorana wires, and second, we will optimize fast electronic control and measurements techniques to be directly applied to study the physical properties of Majorana modes and in performing basic quantum operations. You will have a key role in this project to develop charge detectors for the 2DEG devices, determine parity lifetimes and to fabricate and measure InAs and InSb quantum well devices with epitaxial Al in collaboration with the other project partners and staff at Solid-State Physics division and NanoLund. The overall aim is to realize Majorana states in patterned 2DEG devices and build multi-dot 2DEG devices and demonstrate non-abelian properties of the Majorana states in collaboration with the project consortium. - substantial advanced course work at the Master lever, or comparable, including an independent research project. Furthermore, the acceptance is based on the estimated ability to accomplish postgraduate studies. - Knowledge and skills relevant to postgraduate studies within this area, such as a broad and thorough preparation in physics. This can be documented by appended documents. - Estimated ability to work independently and the ability to formulate and solve scientific questions. This ability can be established, for example, based on undergraduate research experiences, a masters thesis or in a discussion of scientific problems during a possible interview. - Other experience relevant to postgraduate studies, such as professional experience. We expect that your undergraduate studies include courses in solid state physics, quantum physics and material physics. The research is to a large extent interdisciplinary, and a broad competence profile and experiences from relevant areas of physics and nanoscience are of special value. The ability for skillful laboratory work is essential as well as problem solving with analytical thinking and ability to perform numerical and analytical calculations. Important personal qualities are, beside creativity and a curious mind, the ability to work both independently and in a group and experience in the scientific interaction with researchers from other disciplines and in other countries. A PhD position is an employment with the main duty to be engaged in PhD studies according to the study plan. The duration of PhD studies is 4 years full time studies. In addition, those appointed to doctoral student position may be required to work with educational tasks, research and technical/administrative duties at a level of at most 20% of full time. The position is then extended correspondingly, however not longer than corresponding to 5 years full time employment. PhD positions are subject to special regulations. These can be found in the Swedish Higher Education Ordinance (SFS 1993:100, ch. 5, with updates). Only those admitted to third cycle studies may be appointed to a doctoral studentship. Applications shall be written in English and include a cover letter stating the reasons why you are interested in the position and in what way the research project corresponds to your interests and educational background. The application must also contain a CV, degree certificate or equivalent, and other documents you wish to be considered (grade transcripts, contact information for your references, letters of recommendation, etc.). Applicants are also required to answer the job specific questions in the final step of the application process.